Internet piracy is the use of the internet to illegally copy content, infringing on the copyright of the content owner. Internet piracy takes many forms, and includes a wide variety of legally protected content. This includes music, movies, software, and even digital books. 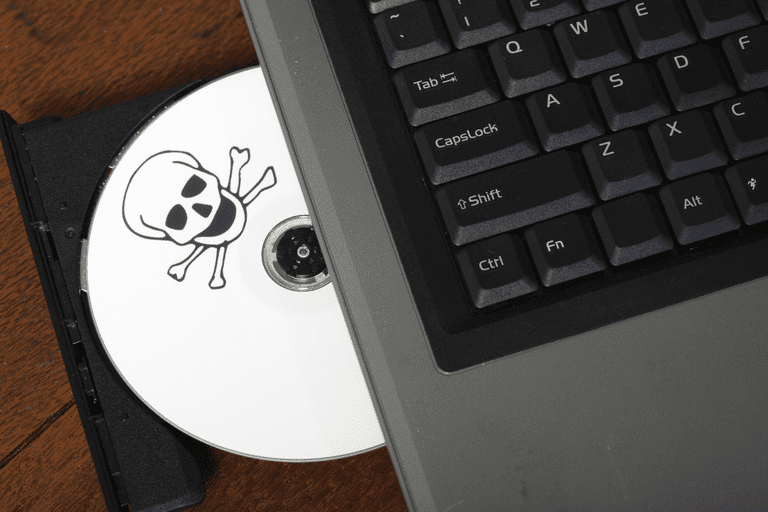 In this article you'll learn where internet pirates distribute illegally copied content, and how to avoid downloading that content without realizing it. Why Is There Internet Piracy? Sometimes content like movies, music, and books aren't available in a given location or in a favored format. Some people pirate based on principle. The principle of a typical internet pirate is that all information in the world should be free. Sometimes the copy protection and/or warnings that are meant to thwart piracy is difficult to manage or makes purchasing feel more like punishment than not (think the FBI warning before a movie). Others simply don't want to pay for content. For these reasons, there are many thousands of hackers across the world who work hard to stay ahead of Digital Rights Management (DRM) code integrated into digital movies, music and software to protect from illegal copying. Once hackers find a way to thwart DRM and copy content, they share that content with other internet users in a variety of ways. Years before DRM existed, an online music sharing service named Napster was launched in 1999. You could download Napster software and join your computer to the massive Napster network. There, users could upload their own music files to Napster servers and allow other users to download shared music tracks and albums. It wasn't long before the owners of Napster found themselves in legal trouble, eventually leading to the company going bankrupt. That didn't stop a long list of copycat peer-to-peer networks from sprouting up all across the internet. The modern incarnation of these systems include decentralized systems (no central server), with users joining an anonymous, encrypted network that's virtually untraceable. The most popular of these networks includes Gnutella, BitTorrent, and uTorrent. Another place where pirates store and share illegally copied content is on private file-storage services. These websites often allowing users to legally upload and store personal files. However many users choose to upload and share illegally copied music, movies, and software with other users. Even sites that legitimately offer file sharing services have users sharing illegally copied files on their servers. These services attempt to take down those accounts as much as possible, but new pirate accounts launch just as quickly as they're taken down. The most common internet piracy today is that of streaming movie sites. If you Google "Watch <name of movie you want to see> for free online", the odds are good that you'll come across one of these sites. Similar sites that have popped up online and let you stream both legal and copyrighted content include Afdah, 123Movies, and CouchTuner. While these streaming sites are accessible to anyone, if you stream copyrighted content using the service, your Internet Service Provider has the legal right to send you a copyright infringement notice and threaten to shut down your internet access if you continue streaming such content. Another place where hackers try to distribute illegally copied content is on internet auction sites. You need to be very careful when bidding on auctions for computer software in particular. Many times, software sellers have already installed the software on their own system. Other times, these sellers have copied the original disk and burned new copies. On online auction sites, you can also come across illegally copied music albums and pirated movies. If you're hoping to avoid legal trouble, you could always avoid sites where illegally copied material can be found. However, even if you avoid streaming illegal movies or peer-to-peer networks, your kids could potentially visit those sites without your knowledge. You can prevent this from happening by placing URL filters on your home router. You can do this by logging into the router as administrator, then clicking on Parental Controls, and Managed Sites (links may vary depending on the router). In order to block peer-to-peer applications like BitTorrent or uTorrent, many routers allow you to block all peer-to-peer (P2P) applications. These days, it's very easy for internet users to innocently download or stream pirated content. By understanding what internet piracy is and how you can avoid it, you can avoid any legal issues and keep your internet service safe from getting shut down.